Recently Ashley and I had the chance to visit the San Diego Zoo Safari Park with a couple of good friends of ours, Jon & Heather Kaplan. The San Diego Zoo Safari Park was a fun place to visit and is only a short drive away from most in Southern California. There are a large number of exhibits and an included safari with general admission to the San Diego Zoo Safari park. There are more than enough activities to keep all members of the family more than entertained and this is a great day trip for the whole family. Directions to Trailhead: The San Diego Zoo Safari Park (aka the San Diego Wild Animal Park) is located at 15500 San Pasqual Valley Road, Escondido, California 92027-7017. Directions from the NORTH (southbound): From Interstate 5 (Orange County, Los Angeles), take the State Route 78 East exit at Oceanside, proceed east to Interstate 15 South, exit at Via Rancho Parkway (Exit 27) and follow the signs to the Park. From Interstate 15 (Riverside), exit at Via Rancho Parkway (Exit 27) and follow the signs east to the Park. Directions from the SOUTH (northbound): From State Route 163 (downtown San Diego, Mission Valley) proceed to Interstate 15 North to the Via Rancho Parkway exit (Exit 27). Go east and follow signs to the Park. From Interstate 5 or 805 (Mexico), proceed to State Route 163, then to Interstate 15 North, and then exit at Via Rancho Parkway (Exit 27). 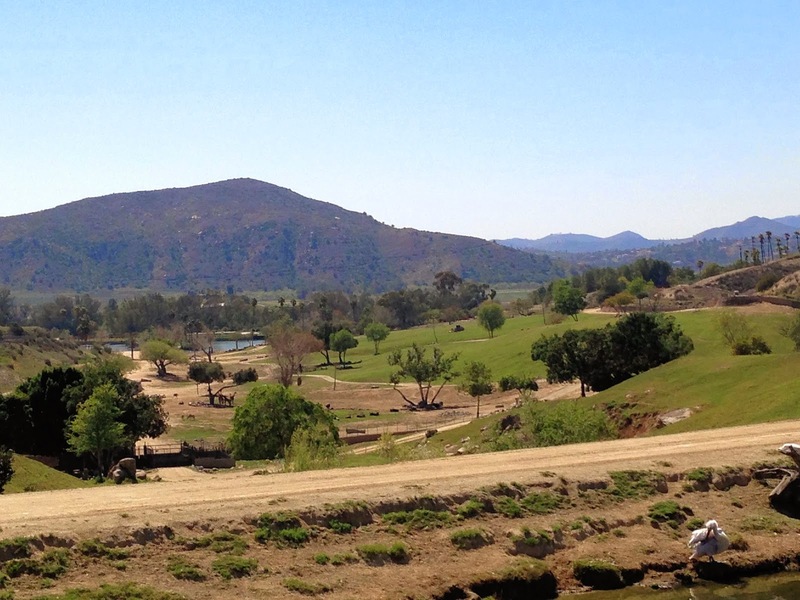 For general information about the wild animal park, call 760-747-8702. 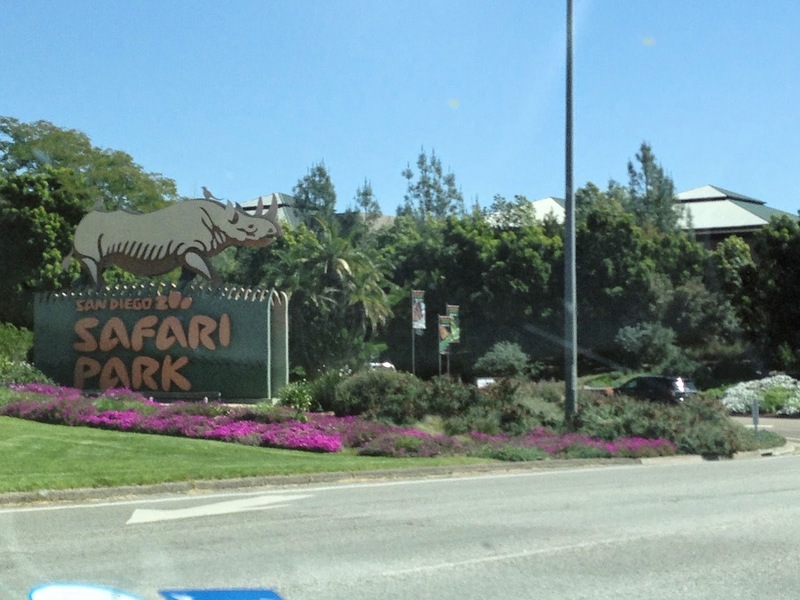 If you are driving from the San Diego Zoo, distance between the San Diego Zoo and the Safari Park is 35 miles. Please allow 45 minutes to 1 hour travel time if you are traveling from the San Diego Zoo to the Safari Park. Description of Trail: This is obviously not a typical trail write-up for our hiking blog, but is a little modified to highlight this fun family adventure in Southern California. The Safari Park is broken into different geographic areas indicating animal types. When we visited, the areas are as follows: African Plains, African Outpost, Lion Camp, African Woods, Gorilla Forrest, Nairobi Village, Safari Base Camp, the Grove, Elephant Valley, Tiger Territory, Asiana Savanna, Condor Ridge, and World Gardens. The Safari Park is open every day of the year, including all holidays. For current hours of operation please click Here. Parking costs $11 per vehicle, $16 for RV parking. Diamond Club membership and up receives free parking: all other members receive a $3 discount with valid ID. Preferred parking is available on weekends and holidays for an additional $15. For a map of the San Diego Zoo Safari Park, click Here. 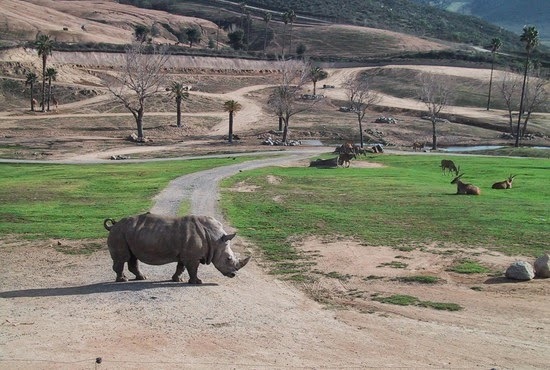 The San Diego Zoo Safari Park was well maintained when we went. It is extremely easy to get from one location within the park to another location in the park. The walking trails/paths are usually well marked and if you have any questions you can always ask a helpful employee at the park. Further Thoughts: Ashley and I really had a good time visiting the San Diego Zoo Safari Park and seeing all the neat animals and exhibits. We visited all of the different areas, with the exception of the tiger territory because it was under construction when we visited. One thing you are going to want to do is plan out your visit before you go. The Safari Park has a large number of free daily activities, included in the general admission price, they put on for park visitors. One of the neat ones we did was the Cheetah Run. When we visited the San Diego Zoo Safari Park, the cheetah run was daily at 3:30. 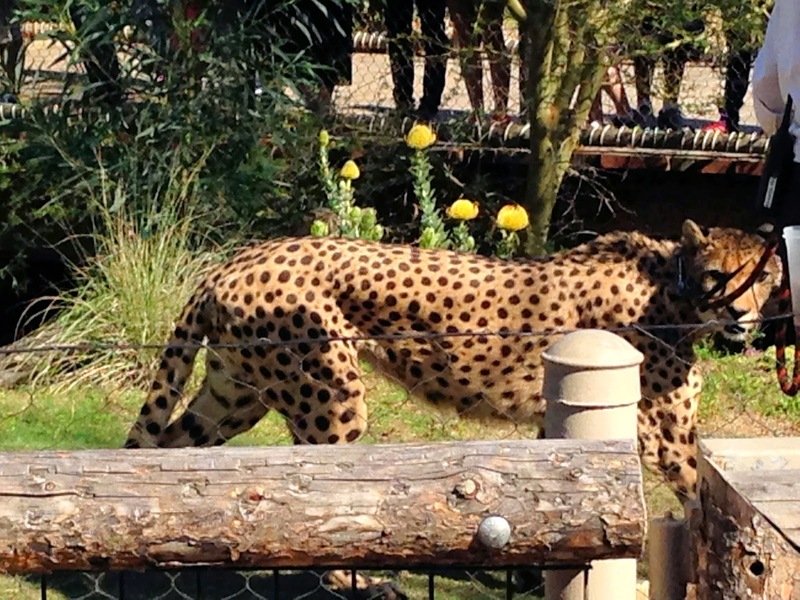 We would highly recommend watching the cheetah run and please note to get there early because this is an extremely popular activity within the park. There is a section of Lion Camp where the cheetah run area is located. The neat thing is you will never guess who is best friends with the cheetah. Its a regular house dog, looked like a Labrador mixed with another breed. Regardless, the dog and the cheetah come to the area together and the dog runs first to show the cheetah everything is safe (because cheetah's are naturally scared of people), and then the cheetah runs. You might get lucky and get two runs, but make sure to watch very carefully as the Cheetah is really fast! One other neat activity that Ashley and I did was the Africa Tram which is included in your general admission to the San Diego Zoo Safari Park. The African Tram is a guided tour ride which departs from 10 a.m. until 6:15 p.m. with the busiest times between 11 a.m. to 3 p.m. on peak attendance days. This is a fun expedition that allows you to get a close view of the types of animals you would normally see in Africa. The Africa Tram is an exciting expedition with brightly colored tour vehicles and our diverse animal collection creating a relaxing adventure. The ride path takes you around some of the field exhibits, giving you a chance to connect with the animals on a closer level. You will get to see rhinos, zebras, giraffes, and so much more. The other neat thing about the African Tram is that it gives you an opportunity to sit down and relax while at the park. The ride takes approximately 30 minutes. 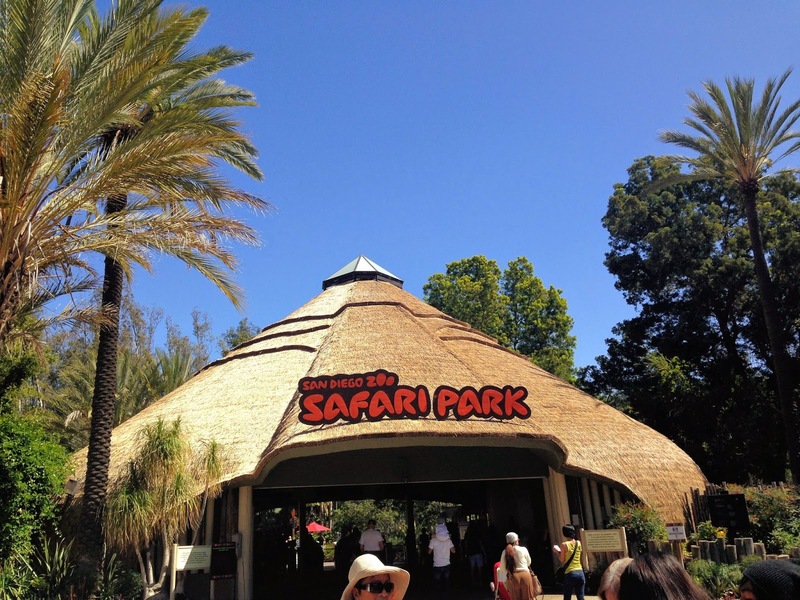 The San Diego Zoo Safari Park has a number of other safari adventures that you pay to do while visiting the park. For a list of additional Safaris and their costs, make sure to click Here. The zip line looks like a lot of fun and some day Ashley and I will come back and try out their zip lines! 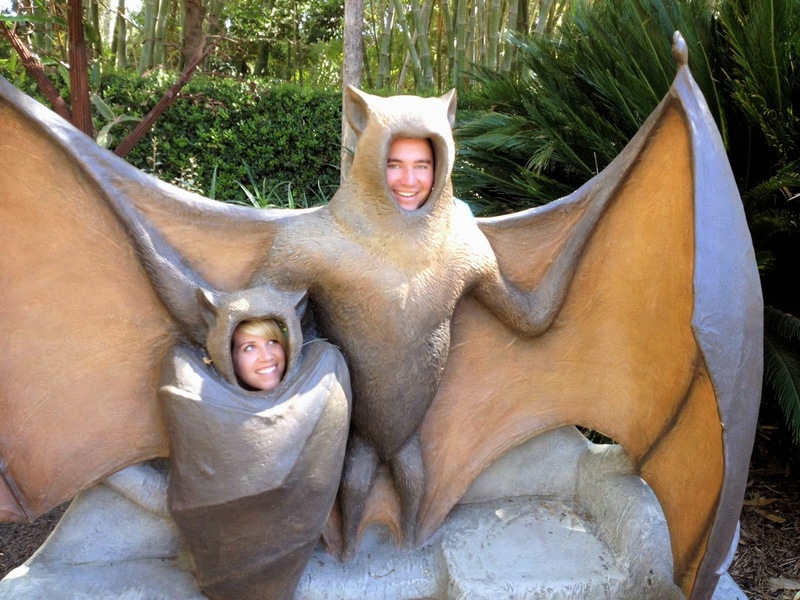 The bottom line is a visit to the San Diego Wild Animal Park is an all day excursion that offers fun for the whole family. There are many neat informative exhibits throughout the park and the best part is your admission prices go to help conserve wild animals for future generations. When you visit the San Diego Zoo Safari Park plan on walking several miles throughout the day, make sure to wear good walking shoes and dress appropriately for the weather conditions. During the summer temperatures can get pretty hot. Fortunately, the park does sell water, drinks, and ice cream for those hot days. I miss the old Wild Animal Park tour. They took you farther and let you see more.